On an optimal, warm and sunny spring day, we conducted the 2016/2017 Officer’s Election process. The nomination committee did an optimal job finding nominees for each position and they were voted on and elected by all the present membership. We had to leave Tips and the Joke session out but Table Topics was interesting as TM I asked questions about Artificial Intelligence (A.I.) 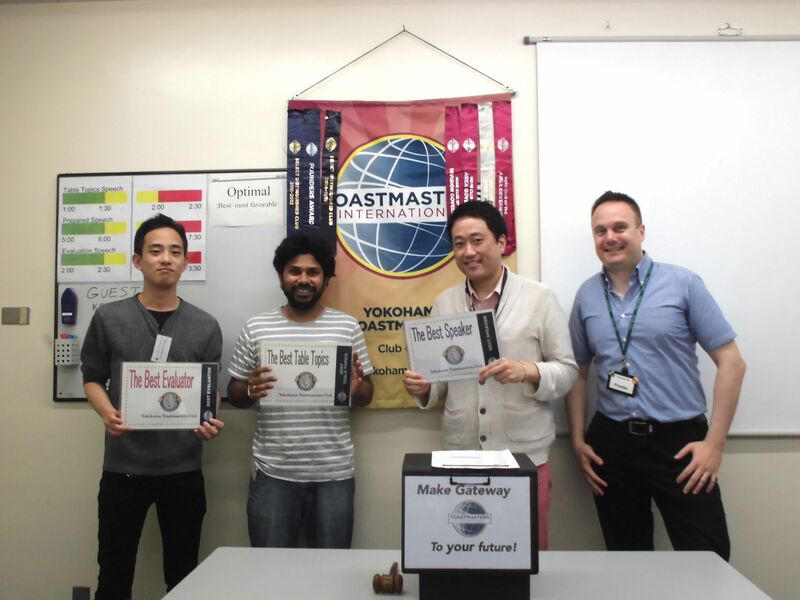 It was a rather difficult subject for the members chosen but they managed to put their Toastmasters skills to the test and come through with flying colours. The prepared speeches were all interesting with TM K taking best Speaker of the Day with some great advice about Stage Fright. The performance wasn’t optimal but he did well to get over his stage fright and received some great tips from TM J. We also heard about TM G explaining the origins of his name and our President N describing Toastmasters and what potential it has to make us better leaders and communicators. He inspired us all with his CC Manual 10th Speech and we should all congratulation him on his achievement of the Competent Communication Manual! TM K wrapped up the meeting with an optimal general evaluation and kept it kindly short as we were running out of time. TM T performed the Grahco role for the first time and if you haven’t guessed already, the Word of the Day was “Optimal”. We also had rookie role takers with TM K doing Vote Counter and TM T performing the Timer role. Thanks to all participants on making this meeting an optimal experience for myself and all members! Please do join us again in a few weeks for our next meeting.